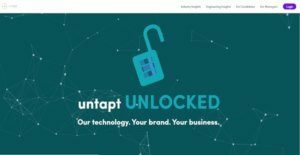 untapt UNLOCKED is a platform for businesses to build hiring marketplaces, job platforms, and recruitment sites with top-of-the-line technology. untapt develops personalized sites and functionality for your business, serving as your on-call tech team throughout the process. UNLOCKED is ideal for online recruitment agencies, HR startups, niche job boards/hiring communities, among others. untapt UNLOCKED offers robust tools to optimize the entire recruitment process. From built-in resume editors and feature-rich email nurturing to live user chat and integrated payments, UNLOCKED platforms are designed for efficiency, ease-of-use, and profitability. What most sets it apart, however, are its artificial intelligence capabilities and advanced job-matching technology. Using AI, job-seekers and hirers can find the right positions and talent in a fraction of the time, moving forward with hiring decisions more efficiently. Moreover, this platform is built to work with all browsers and devices, so you can access the recruitment data you need wherever and whenever you want. All untapt UNLOCKED platforms are built to cater towards job-seekers as well as hirers. The signup processes are streamlined and fully customized to suit your specific business and community needs. untapt separates itself from competing job-board providers by providing one-of-a-kind tools and features as well as exemplary service from their development and data science teams. untapt uses a Deep Learning algorithm to read job descriptions and resumes, matching them together with the nuance of a real human expert. The algorithm has been trained on years of hiring decisions and millions of data points, allowing your platform to act as a digital matcher between job-seekers and hirers. As your platforms mature and accrue more data, the algorithm becomes more and more accurate. UNLOCKED has a built-in email system that you can personalize to guide users easily and organically. Users can apply to jobs, respond to inquiries and browse jobs or candidates straight from their inbox. The system triggers emails to encourage users to finish applications, respond to opportunities faster, browse open roles that are relevant to their experience and anything else you would like to achieve. While traditional white label providers offer templates or limited features, UNLOCKED allows you to build brand new platforms from scratch with world-class developers. Your site will be built out in your own colors and brand and can include a long list of powerful features. In addition, you can put in requests to develop new features as needed for your site and the untapt team can build them specifically for your business. If you are considering untapt UNLOCKED it might also be beneficial to investigate other subcategories of Best Applicant Tracking Software collected in our base of B2B software reviews. Every business is different, and may need a specific Applicant Tracking Software solution that will be adjusted to their business size, type of clients and staff and even particular niche they support. We advise you don't count on finding an ideal services that is going to be suitable for every business regardless of their background is. It may be a good idea to read a few untapt UNLOCKED reviews first and even then you should remember what the software is supposed to do for your company and your staff. Do you require an easy and intuitive service with only basic features? Will you actually use the advanced functionalities required by experts and big enterprises? Are there any specific tools that are especially beneficial for the industry you operate in? If you ask yourself these questions it is going to be much easier to locate a reliable service that will match your budget. How Much Does untapt UNLOCKED Cost? We realize that when you make a decision to buy Applicant Tracking Software it’s important not only to see how experts evaluate it in their reviews, but also to find out if the real people and companies that buy it are actually satisfied with the product. That’s why we’ve created our behavior-based Customer Satisfaction Algorithm™ that gathers customer reviews, comments and untapt UNLOCKED reviews across a wide range of social media sites. The data is then presented in an easy to digest form showing how many people had positive and negative experience with untapt UNLOCKED. With that information at hand you should be equipped to make an informed buying decision that you won’t regret. What are untapt UNLOCKED pricing details? What integrations are available for untapt UNLOCKED?